I had a thriving 10 year old wisteria which I planted some new plants under late in the spring. I put them in with Miracle Gro compost and some compost from our home composter. 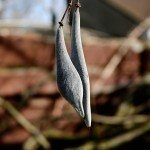 A few weeks later my wisteria lost all its blossoms and looked ill. Checked soil pH and found it to be 5.5, so I added some lime to raise it and then added some John Innes no 3 compost. Wisteria still struggling with stunted leaves. Any ideas what I can do to help it? 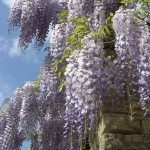 The Wisteria most likely received to much fertilizer and Nitrogen.